A great deal has been written about the Napoleonic wars over the last two centuries and there is a tendency to think that nothing new can be written on the subject; but nothing could be further from the truth. The Gareth Glover Collection has been instigated to bring new and thought provoking information regarding this rich and spectacular period of our history into the public domain. The publication of this original archival material, makes available to researchers and military enthusiasts alike, a mass of first hand information without the very time consuming and costly visits to the hundreds of archives around the world in which this material is housed. Gareth has spent many years working with service records and medal lists analysing the results to establish the services of individuals and can offer this service to anyone who wants to understand the role played by their ancestor in any period since 1750 to 1950. 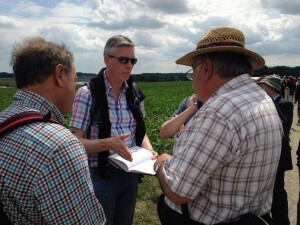 Gareth has teamed up with Robert Pocock to offer Battlefield tours alongside a much wider and varied cultural experience. They can offer bespoke tours for those that wish something special. Walk the battlefield with real experts who can give you the latest thinking on every aspect of the battle and who can tailor the tour to the knowledge of the group visiting, from absolute novices to 'Armchair experts' and they welcome lively debate! Having published over 40 books with over five different publishers, Gareth is very conversant in the ways of the publishing industry and can help budding authors on the tricky road to getting your book published. Download Voices of Thunder now! 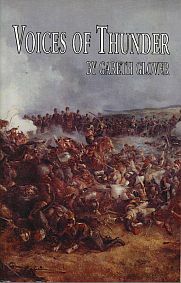 He began writing books in 2003 with a novel based on the memoirs of real participants in the Battle of Waterloo entitled Voices of Thunder which is now available to all visitors to this site to download and read (for personal use only) in its entirety for free . Who is Gareth Glover ? 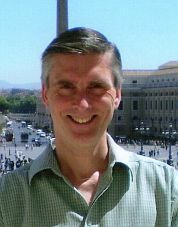 Gareth is a 57 year old, ex Royal Navy officer who now lives and works in his home town of Cardiff, capital of Wales. 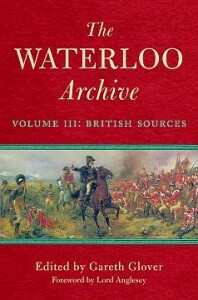 He has studied the Napoleonic wars in great detail for some 30 years and is particularly renowned for his knowledge on Wellington’s army in the Peninsular and particularly at Waterloo.